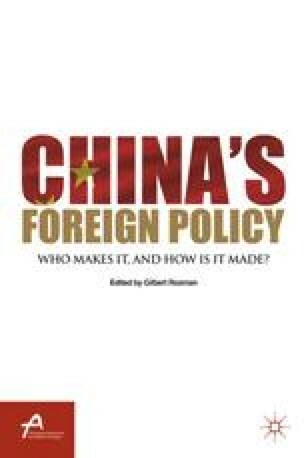 There is a large difference between the way that many pundits and journalists outside of China analyze China’s recent trends in foreign policy and the way that many of Chinâs own experts discuss the same phenomena. In American and European newspapers, one often sees references to a new and assertive Chinese grand strategy that reflects the rise of China and the decline of the United States, especially since the financial crisis began in 2008. The implication is that a new Chinese strategy emerged as a rationally calculated response to China’s increased power and influence. Thomas J. Christensen is the William P. Boswell Professor of World Politics of Peace and War and the co-director of the China and the World Program at Princeton University. Professor Christensen is also a part-time consultant at the Secretary’s Policy Planning Staff of the US State Department. He served as the Deputy Assistant Secretary of State for East Asian and Pacific Affairs from 2006 to 2008. His research focuses on international relations, international security, China’s foreign relations, and international relations of East Asia. His recent publications include, “The Advantages of an Assertive China: Responding to Beijing’s Abrasive Diplomacy” (Foreign Affairs, March/April 2011), and Worse than a Monolith: Alliance Politics and Problems for Coercive Diplomacy in Asia (Princeton University Press, 2011). He received his B.A. from Haverford College, M.A. in international relations from the University of Pennsylvania, and Ph.D. in political science from Columbia University.